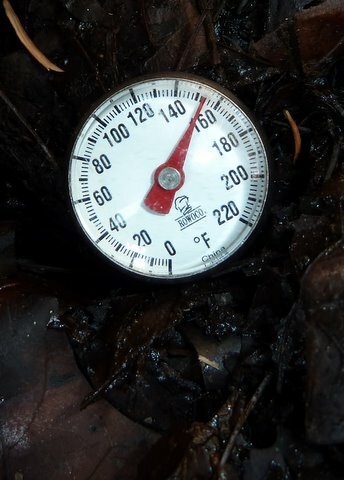 Composting 102: Hot or cold? Jane Hayes, a University of Maryland Extension Master Gardener and a member of the Howard County Master Gardener Compost Education Committee, answers questions about hot and cold composting. What is the difference between hot and cold composting? Jane: All composting is simply the natural process of plant material decay. In nature, plants die, leaves fall, and trees shed their bark. The materials fall to the ground, decay, and become soil in which new plants grow. Cold composting is similar to this natural process. You add materials to the compost bin or pile and leave it to decay. You can improve this process by making sure that you have a good balance of nitrogen-rich (green) and carbon-rich (brown) materials, as well as adequate water. With hot composting you give nature a hand with the process. For hot compost you need to pay attention to the carbon/nitrogen ratio, create a pile that is approximately one cubic yard in volume (3’ by 3’ by 3’), make sure the materials are moist, and most importantly, turn the materials on a fairly regular basis to make sure there’s plenty of oxygen. With the proper materials and weekly turning the pile will start to heat up and the heat will cause the materials to break down more rapidly. When you turn the compost you move the materials in the center of the bin or pile toward the outside as well as moving materials from the bottom to the top. The center of the bin is where the heat will be generated, and it’s good to move those materials around because they contain more microbes for the composting process. A good hot compost pile should reach approximately 140° F. to kill off any weed seeds and harmful pathogens. If the temperature in the pile gets too hot, it will kill off many beneficial organisms, so turn the pile to reduce the temperature. Are there advantages to hot composting? Jane: There are two main advantages. First, your compost will be finished a lot sooner. Second, unwanted seeds and plant diseases will be killed or greatly reduced during the composting process. 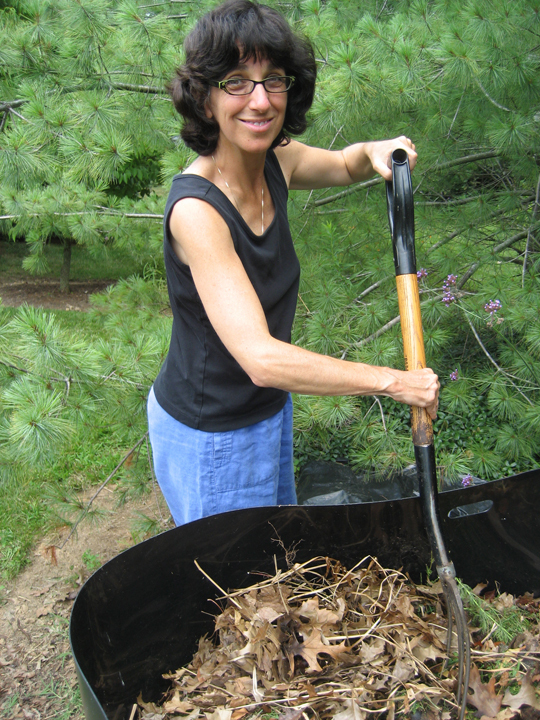 Jane: A good hot compost pile can finish as fast as 8 weeks. A cold compost pile may take as long as 2 years. Jane: To create a cold compost pile you only need to stack the materials as they become available and then let nature do her work. The hot compost pile needs to be turned frequently—weekly is ideal. You also need to pay attention to how moist the pile is and add water when necessary. Do I need any special tools for hot composting? Jane: You will need a fork for turning the compost, a hose or watering can, and a compost thermometer (optional). Special composting forks are available or you can use a hay or garden fork. Thin round tines are better for turning compost than the flat tines of a regular garden fork. Additional Information: For detailed information about composting, CLICK HERE to read the free six-page brochure, “Backyard Composting,” HG35, at the University of Maryland Extension’s Home & Garden Information Center website. To link to the 2-page Howard County Master Gardener fact sheet on composting, CLICK HERE. To link to the schedule and locations of composting demonstrations by Howard County Master Gardeners, CLICK HERE.